For many brewers, it's only at this time of the year they decide to increase the roasted, chocolate and other specialty malts in their brewhouse and turn out a darker beer. 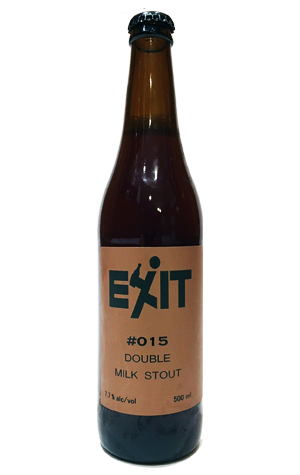 Exit Brewing, on the other hand, has a Milk Stout as part of its core range, a beer there to satisfy dark beer lovers all year round. 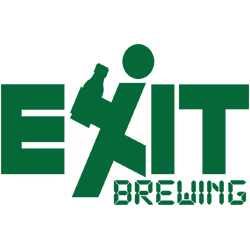 But that hasn't deterred them from creating another one for winter 2017 – perhaps just as well, given how cold the start has been in their hometown of Melbourne. As the name suggests, it's a beefed up version of the aforementioned Milk Stout: a similar mix of water, malt, hops, yeast and lactose, just more and bigger. Thus it's viscous, black with a deep tan head and packs a punch. Sure, there's the added body and creaminess from the lactose, but, as with its smaller sibling, it's the darker malts, with their bold chocolate and sharp, roasted espresso characters, that dominate, aided and abetted by a solid, earthy bitterness that makes this a rather stout stout.